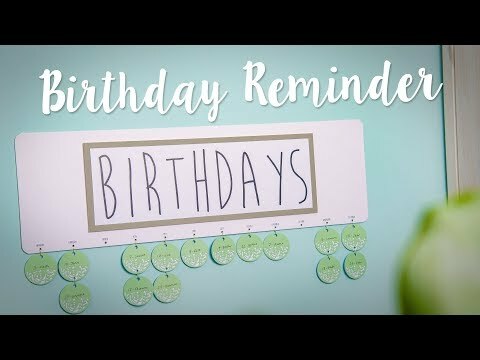 Do not miss another birthday with this DIY birthday calendar for your home, using the tag from our decorative box die. From scrapbooking, cardmaking and papercrafting to fashion, quilting and home décor, and Education, Sizzix provides people of all ages and abilities the opportunity to express themselves in countless new ways. Don’t miss out on any updates!